The Presidential dollar coins were struck from 2007 to 2016. NOTE: From 2012 to 2016 Presidential dollar coins were minted only for collectors and not released into circulation. 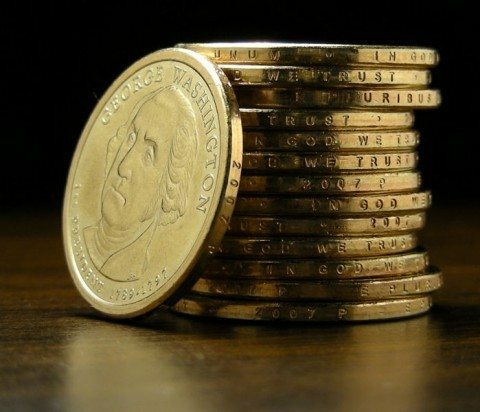 Therefore, 2011 is the last time U.S. dollar coins have been minted for circulation. 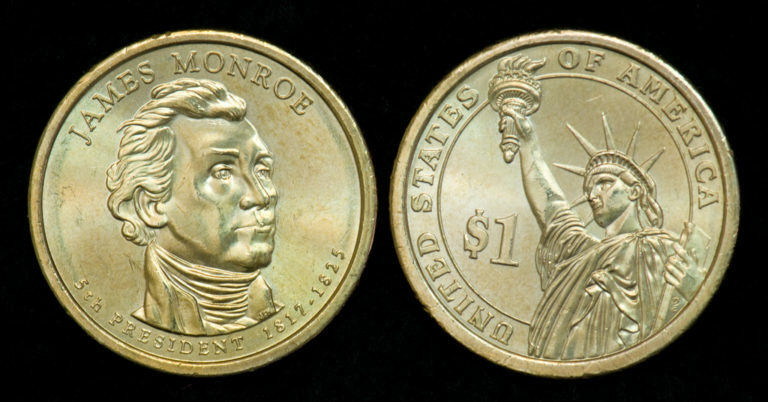 The U.S Mint produced these $1 coins — each with the face of one of our former presidents. Four coins came out each year until all former presidents (non-living) were minted on U.S. $1 coins. These coins are identical to the size and weight of the Sacagawea dollar coin. Although they are gold in color, they have no gold in them. The composition of Presidential dollar coins includes a pure copper core with an outer layer of 77% copper, 12% zinc, 7% manganese, and 4% nickel. It’s this unique combination of metals which gives the dollar coins their golden color. The front of the dollar coins depict a former President of the U.S. along with the years they served in office. Only one depiction for each president was made — regardless of how many terms they served — with the sole exception of Grover Cleveland, who received a different depiction on 2 separate coins since he served 2 non-consecutive terms. President $1 coins contain the date, motto, and mintmark on the edge of the coin. 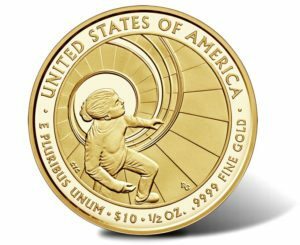 All of the Presidential dollar coins share a same reverse that depicts a view of The Statue of Liberty and reads United States of America. If you happened to grab up some Presidential dollars when they first came out in 2007, be sure to examine the edges of those coins. Washington and John Adams were the first 2 in the series to be released — and there was an error on some of those coins. They didn’t receive the edge lettering and became known as the plain edge Presidential dollar or Godless dollar coins. If you’re lucky enough to have one of these (there are quite a few), they have been known to sell on eBay for $100 or more. Here’s more about the $1 George Washington error coins. And here’s how to detect fake Godless dollars. TIP: If you are collecting all of the Presidential dollar coins, you might want to consider a nice Presidential $1 coin folder (or album) to place your U.S. President dollars in for safe keeping. Here are 10 of the most valuable U.S. president dollar coins. Interestingly, another related presidential coin set called the First Spouse gold coins program ran from 2007 to 2016, as well. 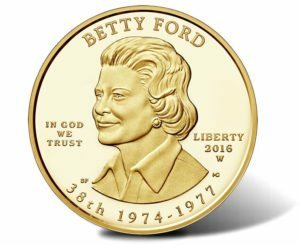 First spouse coins are $10 coins made with 1/2 oz. of pure .9999 gold each. The front (obverse) of these First Spouse coins bears a portrait of the First Lady. The back (reverse) is unique for each one, depicting images from that spouse’s life and work. Each First Spouse gold coin was released concurrently — at the same time as their husband’s President coin. There were a few presidents who served terms without a First Spouse (such as Andrew Jackson). When the Andrew Jackson dollar coins was released, the coin for the First Spouse program at that time depicted an image of Lady Liberty and the reverse contained depictions from President Jackson’s life. See how much Presidential dollars are worth today.